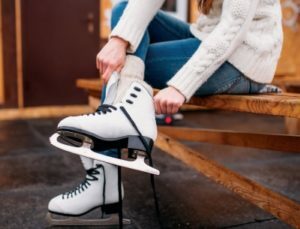 The Rink at Mall of Georgia is now open. Designed with faux-ice for a cool spin on the ultimate skating experience. Ice, Ice Baby – Friday, Oct 5 from 6-8PM. Join us for a 90’s themed party in the Village as we celebrate the grand opening of The Rink. Enjoy DJ, photo booth, games, Family at Simon activity, social media photo contest, and more. $2 Tuesdays – Every Tuesday, children and adults are invited to skate for only $2! Family at Mall of Georgia Discount – Family at Mall of Georgia members (children 12 and under) receive a $1 off skate fee Monday through Thursday from 10AM – 2PM. Not a member? Join for free at The Rink. Located in the Village. Credit card will be the only form of payment accepted. *The Rink will be temporarily closed from Monday, Oct. 29 – Friday, Nov. 2 for install of our 56′ Christmas Tree.